That is a remark I hear made many times, but it is not true for everyone. We are not all children of God. We are all His creations, but not all are His children. As the Creator, God is the one who formed us in the womb (Psalm 139:13, Jeremiah 1:5). Just as God breathed into Adam’s “nostrils the breath of life (Genesis 2:7)”, so He continues to form mankind today. But many of those whom God created have rejected Him as their Lord. They are not the children of God. In order to become a child of God, one must believe on His name and receive Him as Lord. Catechism is for believers, so if that is you, then yes, you are a child of God. Spend time reflecting on what it means to be a child of the God of the universe. 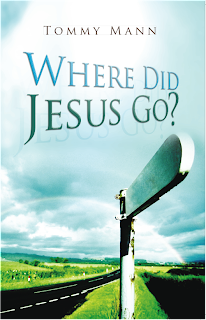 Where Did Jesus Go? is now available to pre-order in paperback (with free shipping) here. The eBook format will be available soon. Labels: Westbow Press, Where Did Jesus Go? In 1863 Henry Wadsworth Longfellow wrote a poem he called “Christmas Bells.” The poem was written on Christmas Day and was a reflection of the emotion that Longfellow was feeling at the time. 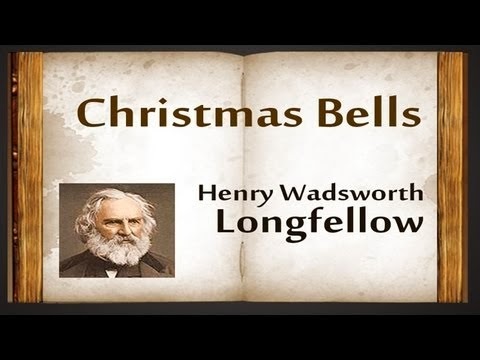 The poem begins with the happy thoughts of Christmas, with the joy brought about by the bells. But the joy turns to sorrow before finally ending in joy again. The references to the cannons in the South and the hearthstones of a continent being rent remind us of the Civil War, which was dividing the Country when this poem was penned. But the emotion that Longfellow was feeling was born from something deeper than a nation at war. Longfellow’s son Charles, a lieutenant for the Union, was mortally wounded that November in the Battle of New Hope Church in Virginia. The sound of his son’s death no doubt drowned the carols of peace on earth, good-will to men. This year we feared that we would spend Christmas in the hospital with our son, but on his 23rd day in the NICU he was discharged. Maybe you are a widow who wishes Christmas felt like it used to. Perhaps you are recently divorced and feeling lonely this time of year. It could be that Christmas coincides with the anniversary of the death of a loved. There are a number of reasons that Christmas can really stink. Many people feel like they have to “just get through” the holidays. But it doesn’t have to be that way if we can see the big picture. I love how Longfellow concluded his poem. The Christmas Bells rang with a stronger message than simply indicating the coming of Christmas; the message of the bells was a reminder: God is not dead nor doth He sleep. The Wrong, which breaks our hearts at times, will ultimately fail. The Right, which may feel far away, will finally prevail. Christmas can be sad and lonely if family, presents, or anything else gets the primary focus. While those things are great, we need to remember that Christmas is a symbol of the birth of Christ, which drawn out, takes us to the cross and empty tomb, where our sins can be forgiven. If you are a believer, then you are never alone because you have a relationship with God Himself. That should give us all a reason to join the voice, the chime, the chant sublime, of peace on earth, good-will to men. The purpose of this post is not to defend Phil Robertson or his comments. In fact, I don’t think that is the main objective of any of the Duck Dynasty patriarch’s supporters. What is alarming to many of us is that Phil’s rights end when homosexuals’ rights advance. I realize that the 1st Amendment doesn’t guarantee that Phil be on a reality show; however, I think we all realize what would happen if the roles were reversed. Who is the last person to lose a job, sponsorship, or their reputation for slandering or “judging” those of us who stand for the sanctity of marriage? Every person who calls us intolerant, hateful, bigots, religious nuts, homophobic, and any of the other divisive insults is doing the same thing Phil Robertson did. Some might argue what they are doing is worse. How is that worse? Robertson only answered a question (much like Mr. Cathy from Chick-fil-A did). Would we rather Robertson lie? That might be the norm for politicians, but dishonesty should be frowned on. Furthermore, Robertson cited his beliefs from the centuries-old Bible, what we believe to be the Word of God. While some liberal Christians have now denied the Bible’s stance against homosexuality, the overwhelming majority of believers have stood by this claim since Leviticus, through the days of Paul, and even in this anything-goes culture. 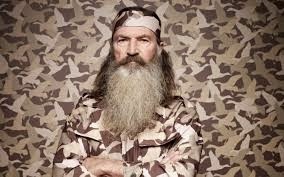 The Duck Commander didn’t call anyone names; he answered a question about his beliefs. When his enemies respond with name calling, isn’t that stooping to a worse level? Contrary to what media types like Bill O’Reilly have claimed, Robertson wasn’t “judging” homosexuals. Quite the opposite. He quite clearly said that he doesn’t judge and it is up to God to “sort ‘em out” at the judgment. He said he has no way of knowing what is in the heart of man, and it is his job to love everyone. Nothing more judgmental than loving everyone. This issue is just another chapter in the anti-Christian assault on Bible-believers. Consider Jack Phillips, owner of Masterpiece Cakeshop in Denver, Colorado. His rights were violated when Judge Robert Spencer recently criticized Phillips for refusing to make a cake for a gay wedding. The honorable Spencer told Phillips from now on he could not refuse to make cakes for homosexual events, even though Phillips is a strong believer who said he will close his shop before that happens. Masterpiece Cakeshop is not a government entity, and neither is Phillips a government employee. He is an entrepreneur, a small business owner that has the right to not bake cakes. How can a judge order someone to bake a cake? It only makes sense when cries of “Intolerance!” get involved. Remember, we have to tolerate everyone. Except Christians. No one has to tolerate them. Don’t believe me? Ask yourself what would happen if the roles were reversed. What if Jack Phillips went into Adam and Steve’s Cakeshop and ordered a cake for his straight-pride rally? What if he wanted the cake to have 1 Corinthians 6 piped onto it? Would Robert Spencer have ordered the homosexuals to make the cake? I highly doubt it. As gay rights groups continue to demand more rights, we need to be sure that we do not lose ours. Fortunately it appears that believers are sticking together to support each other. 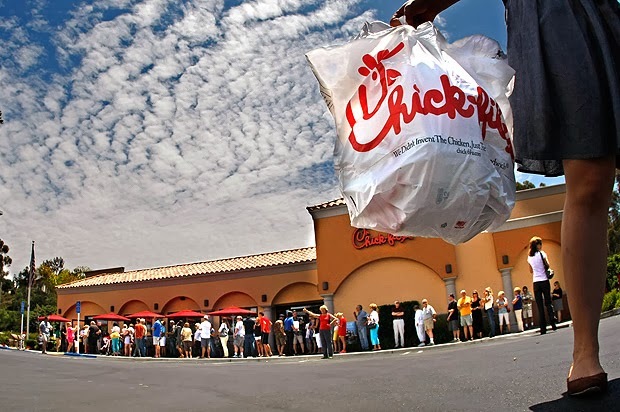 So far it looks like that Duck Dynasty boycott is working about as well as last year’s Chick-fil-A boycott. When you hear the word catechism you might get a mental picture of 1st Century Christian leaders debating what they would believe as a church. Or maybe you think of Catholicism. Perhaps you get a little nervous, like a 4th grade student at a spelling bee, as if you will have to stand in front of the church and properly recite the church by-laws. It’s also likely you have never even heard the word catechism. Catechism is a series of questions and concise answers; they are easily memorized, and can teach believers young and old the basics of our faith. It is an easy way to learn doctrine. 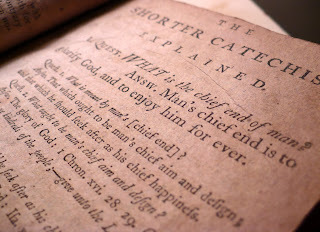 Over the course of 2014 we will work on catechism as a church family. Each week in our newsletter we will post a question and answer; we encourage families and friends to work on memorizing them together. As the year progresses we hope that you will review previous weeks to reinforce the doctrine. This process will build a sturdy foundation on which you can stand, and it will establish (or strengthen) a biblical worldview. In addition to the questions and answers, there will be a brief commentary each week right here to help explain the concept in greater detail. We are looking forward to this endeavor, and we pray that 2014 will be a year that Christians will be strengthened in what they believe. Please join us in this catechism. 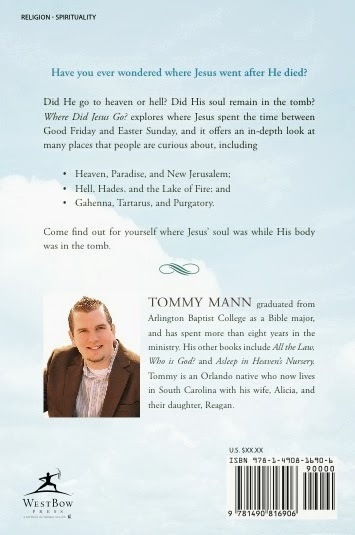 Have you ever wondered where Jesus went after He died? Come find out for yourself where Jesus’ soul was while His body was in the tomb. Get the book on sale, with free shipping, here. Labels: Hades, heaven, Hell, New Jerusalem, purgatory, Westbow Press, Where Did Jesus Go?